From a deep rooted desire to make a shift in the mindset of this generation women we created Be Kind Retreats as a place to disconnect from endless to do lists, work stress and social media and to reconnect with the real meaning of life. We both believed in creating our own dream life, now living in Bali and running Be Kind Retreats we hope to inspire others to follow their deep rooted desire and dreams. The pressure of perfection under young woman concerns us. Lots of women around us are suffering from a depression, burn-out, eating disorder or feeling lost in life without a purpose. All the experiences we had and women we met over the last years made us naturally flow into the direction to make an impact for these woman, to step up for self-love, to step up for honesty and to step up for social awareness about mental struggles. To step up to support each other instead of seeing each other as rivals. In Bali we learned what it means to be truly kind. The Balinese people are the biggest example of how to live with kindness, this means, share everything you have, smile to everyone you meet and know that being rich in your heart has much more value than being rich in money. 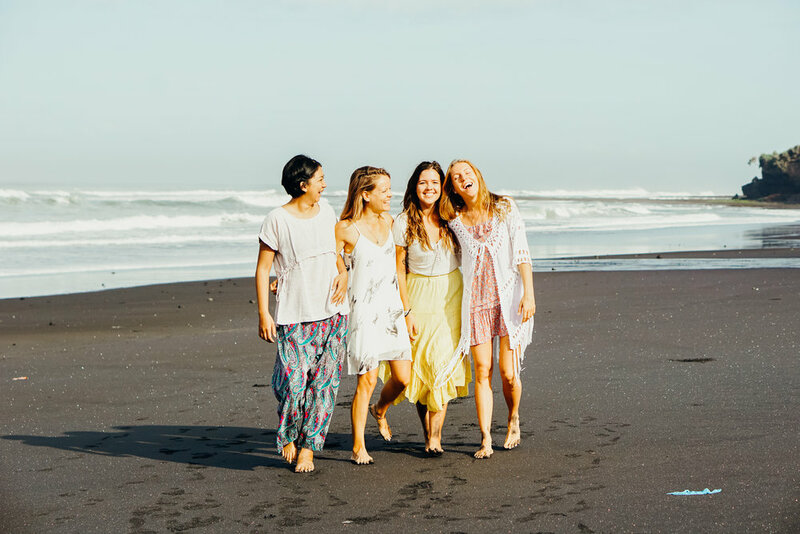 It is in Bali where we started to fully pay attention to live our lives with more kindness and the biggest part of this was creating Be Kind Retreats: a place where women are able to feel what is means to really live and not just exist. Our mission is to give you six days you will never forget and also give you all the tools you need to be ready for the new you, in your daily life. Be Kind is the perfect mix of a wellness and therapy retreat. We are not just an ordinary retreat, we are a life shifting retreat. Not just a yoga retreat, not just a surf retreat, it is self-love to the max. It is our goal to learn you, how to stay centred and reconnected with your inner self during daily life.